WHAT WE KNOW: Edibles, made with marijuana leaves or higher potency cannabis extracts, are a popular, less-detectable alternative to smoking marijuana. They may look like common baked goods, candies, and beverages, and are often designed in a way that appeals to youth. 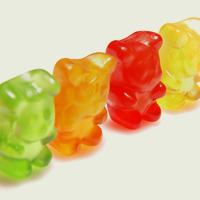 Package labeling may indicate THC-laden contents, but when unwrapped the product may look like and be mistaken for normal food. WHAT WE'RE WATCHING: The safety, potency and quality of edibles will often be unknown until uniform regulations are established. Can marijuana edibles send a child to the ER? WHAT WE KNOW: The simple answer is yes. Accidental consumption of marijuana has led to an increase in Colorado emergency room visits by children. After recreational marijuana stores opened, ER visits and poison-control calls for kids 9 years old and under increased, with twice as many children visiting the ER. Almost half of the cases involved kids accidentally eating marijuana edibles. WHAT WE'RE WATCHING: The total numbers of ER visits and poison control-calls are still low compared with other household poisonings. But as more marijuana becomes available, especially in forms that appeal to children such as brownies and gummy bears, child emergencies may continue to increase and need to be guarded against. What is the average serving of marijuana edibles? WHAT WE KNOW: Labeled and unlabeled packages of marijuana edibles can be confusing. A single serving of a marijuana-infused edible may be labeled 10 mg of THC per serving, but a package of edibles may contain 10 single servings. This may represent the difference between one puff or 20 of a marijuana cigarette. If eaten all at once, the psychoactive effects may be slow to appear but may be severe when they do. 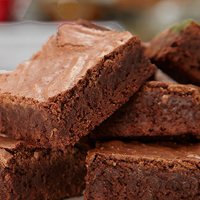 WHAT WE'RE WATCHING: The effects of cannabis edibles vary from person to person. So far, an “average” safe serving has not been established, especially for someone who doesn’t use it often.